Reveal the dark secrets that have haunted a woman since childhood! Peel back the layers of a woman's tragic past to reveal the dark secrets that have haunted her since childhood! Accompany Rose into a stunning dream world that allows her to explore four tragedies that shook the foundation of her soul. As she battles the Darkness that tries to stop her, she begins to piece together the reality of what happened and realizes she must either wake up or die. 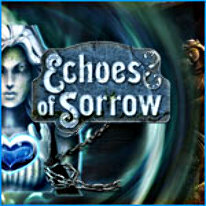 Echoes of Sorrow is a game you will never forget playing.